Leading into Spring Training, Joey Rickard wasn’t even a consideration to become an everyday outfielder for the O’s. Seemingly, the team had concrete plans to start Hyun Soo Kim in left field, joining veterans Adam Jones and Mark Trumbo to cover the green of Camden Yards. Formally of the Tampa Bay Rays’ organization, Rickard was selected in the Rule 5 Draft which opened up a legitimate chance for the 24-year old to crack the major league roster. Although Kim signed a two-year contract worth $7 MM, he heavily disappointed in exhibition play ultimately rewarding Rickard the starting gig. Thus far, Rickard is hitting near .300 and has been one of the Orioles’ key run producers. According to MLB’s 2016 Prospect Watch, Tyler White is the #13 ranked prospect in the Houston Astros organization. Three corner infielders rank ahead of White, including A.J. Reed who is slated to be major league team’s first baseman of the future. After winning the starting first baseman job from Jonathan Singleton, White went on an immediate tear. In his first week, White blasted three homeruns, batted in nine runs, and maintained a .556 batting average. He was dubbed the American League Player of the Week for his achievements. On an Astros team that has shockingly stumbled out of the gate, White has emerged as a true offensive force. The Colorado Rockies have quite the ‘story’ at the shortstop position. In February, Commissioner Rob Manfred placed Jose Reyes on administrative leave as MLB continues investigating his domestic violence incident. Alex Bregman, the team’s #1 ranked prospect (and shortstop) is nowhere-near ready for his eventual call-up. Therefore, the Rockies opted for 23-year old Trevor Story, who was a former first-round draft choice in 2011. Problem solved. Story destroyed big league pitching in his debut week, smashing seven homeruns in his first six games of the season – a major league record. He won the National League Player of the Week, and would go on to smack two more dingers in the month setting a new NL rookie record for April homeruns. Although the scouting report on the shortstop is evident (since he leads the league in strikeouts), Story has made a big statement to start the new season. Certainly, you can’t spell history without ‘story’, but there’s another shortstop who has flown under-the-radar as the season’s top offensive rookie in baseball. Similar to Story, Aledmys Diaz was not a top shortstop prospect and won the starting position thanks to injuries. Jhonny Peralta underwent surgery to repair a torn UCL in his left thumb, and won’t return until mid-season. The expected replacement, Ruben Tejada hit the disabled list just before the start of the season. Mike Matheny and the Cardinals would pass the reins on to Diaz who would make the most of his opportunity. At this time, Diaz is leading all of baseball with a near .450 batting average, accompanied by 4 HRs and 14 RBIs. The 25-year old is well on his way to an impactful 2016. The Los Angeles Dodgers were in need for quality starting pitching behind Clayton Kershaw. After Zack Greinke turned in a Cy Young-caliber season for LA, he would end up signing a six-year, $206.5 MM contract with the Arizona Diamondbacks. In return, the Dodgers signed Scott Kazmir to a 3-year deal, but the rotation had question marks. Hyun-Jin Ryu and Brandon McCarthy are recovering from injury, Brett Anderson will possibly miss the entire season due to back surgery, and spot-starters Mike Bolsinger and Alex Wood are vastly unproven. PBO Andrew Friedman and GM Farhan Zaidi elected to sign Japanese free-agent, Kenta Maeda. In January, the 5x NPB All-Star etched his name on an 8-year, $25 million contract (potentially worth $90.2 MM after incentives). Maeda, who is now 28 years old, started off very nicely shutting out the San Diego Padres in his debut. Up until his last start against the Miami Marlins, Maeda held a 0.36 ERA – the best in the National League. With the assistance of a nasty slider, he struck out 28 batters in April and looks to continue his dominance for his first All-Star nod. Join the KIRS Radio team from Noon to 2pm for unique and entertaining sports coverage you can't find anywhere else! The team will be breaking down NBA Free Agency rand discuss the Women's World Cup Finals. 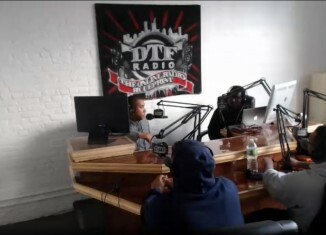 Check out the full replay of the latest episode of the KIRS Radio Show on DTF Radio/Ripped Radio Network. 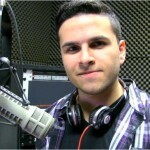 This episode featured discussions on the week 8 NFL match ups and the opening of the NBA season. Enjoy episode #56 from Brooklyn, NY!